Regardless of where you are and what smartphone you use, health is a matter of paramount importance. Fortunately, a large number of applications in the category “Health” are available both on Android and iOS platforms, turning smartphones into valuable diagnostic tools and allowing you to learn about diseases and improve your condition. Seven applications for measuring blood pressure are described below. All of them are free and available on different platforms, so they can be installed right now. iCare Health Monitor is an efficient program for measuring blood pressure. It is available both for Android and iOS devices. The application receives a pulse wave signal through the photoelectric component and in such a way provides you with such physical parameters as heart rate, blood pressure, blood lipid levels, oxygen in the blood and others. In addition to medical features, there is a number of useful opportunities for those involved in sports. The program includes various exercises for leg training, press, and cardio training. It also has a built-in pedometer that will measure the amount of work done and the amount of energy spent. It is extremely simple to use the application. Choose the desired function, click on the screen, and put the phone close to the body. Hold the flash and the main camera next to your finger, since they must be closed until the end of the measurement. The more often you use the program, the more accurate the final results will be. With iCare Health Monitor, you no longer need to carry various devices with you – everything is accessible right on your smartphone. The application also contains various training programs and detailed statistics. With its help, it is very easy to track and manage your physical activity, and play sports. SmartBP is a universal application for iPhone and Android users. It is the only application for monitoring blood pressure with an intuitive and user-friendly design. With its help, you will monitor the dynamics of blood pressure changes in the form of graphs and statistics by time and date. The control is easy. 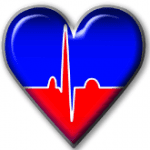 You can record your systolic and diastolic pressure, time of measurement, pulse, weight, pulse pressure. Manage the records with simple tools: charts, average calculation, and export of data via e-mail. There is a possibility to use e-mail to keep your family, friends, and your doctor up-to-date about your health. It will help to make faster decisions about treatment and medications. Smart BP is designed to serve as a database tool for sharing information with your doctor. This application is not intended as a substitute for professional medical advice, diagnosis or treatment. The developers of the app warn that they are not responsible for any damage that can stem from the use of this application. built-in reminder – You do not miss the measurement time. Blood Pressure is a program for users who want to monitor their blood pressure and successfully cope with hypertension. 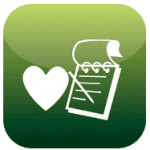 Download the application, track and save the level of blood pressure in your body. The program analyzes the data, helps you to navigate the numbers and get accurate results. You will be offered additional information on the treatment of hypertension, which you can share with your doctor. A convenient and competent interface allows you to quickly use the application. All measurements are stored in the database. Edit, update or describe the measurements – you can write why there was an increase in pressure – maybe, you went for a walk or have gone through a stressful situation. Create special marks for yourself, such as brief descriptions of high figures, place of measurement, pulse, and weight. Use the opportunity to measure the pressure of several users. Study visual graphs and tendencies of your health. In the special tab, you can find out detailed statistics about pulse and average blood pressure and a pressure indicator. The data is exported in two convenient formats – CSV and XML It can also be saved in PDF files. The program daily notifies you about the need for measurement. Set up filters, choose which parameters to display in your account. Make the design of the app individual by choosing an excellent theme. The developers warn that it is necessary to have a tonometer to check the results. It should also be borne in mind that the software does not replace the advice of a qualified specialist. Blood Pressure Log is an application with the help of which you can collect and analyze measurements of your blood pressure and all the related parameters such as heart rate, medication, exercise, and weight. Graphs and statistics allow you to track the results and constantly monitor your pressure. Thanks to reminders, you will no longer forget to measure your pressure and take the appropriate medication. The application Blood Pressure Log is used only for recording blood pressure measurements and related parameters. It does not replace doctor visits, so do not change your treatment without consulting a specialist. 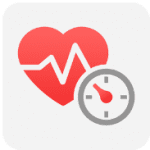 Smart Blood Pressure is an app developed and provided to you by professionals in medicine! An ideal tool for monitoring, analyzing and sharing the data of your blood pressure, weight and pulse, which is always with you. Smart Blood Pressure is a program for monitoring and analyzing blood pressure with an intuitive interface and a modern iOS design. Smart Blood Pressure turns your iPhone, iPod or iPad into a personal blood pressure and weight monitor. The program has data visualization, statistical reporting, export to e-mail, built-in reminder and many other useful functions. A one-time measurement of blood pressure is not always enough. In some cases, it is necessary to observe changes in blood pressure over a period of time. For some people, it is recommended to measure blood pressure daily. Doing it is extremely easy and does not require special expenses. It is better to do it several times a day, because morning and evening results may differ. 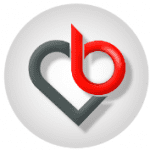 Blood Pressure Tracker helps you with this by recording your blood pressure and heart rate. The program automatically records systolic and diastolic blood pressure, heart rate and measurement time. 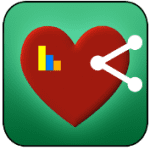 Blood Pressure Tracker is a very convenient data storage tool, which, in addition, allows you to analyze the results. Such analysis can help you and your doctor to make a proper schedule of taking medications and regulate their dosage. – data can be saved as a CSV file for archiving and backing up. 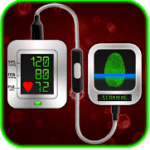 Finger Blood Pressure Prank is a fun application simulating the process of measuring blood pressure by fingerprint. A great way to play tricks on friends! A comic scanner for simulating blood pressure measurement is now on your phone. The app looks very realistic and is absolutely free. With its help, you can play friends or family by telling them that the app is one of the latest scientific advancements. It’s very easy to use. After launching, you need to select the gender of the subject and confirm your choice. In the opened window with the scanner, ‘a patient’ needs to put a finger and wait until the analysis is completed. The result will appear automatically after ‘the calculation’ of the blood pressure. The data can even be shared with friends. The scanner gives detailed information. It is perfectly animated – all the steps of the “measurement” look very natural. The interface is serious and concise, which invokes confidence in the upcoming manipulations. Important! The app is a joke. It is not a real pressure measurement tool, all the results are generated randomly. Do not forget to tell this info to your friend or relative to laugh together. That was the list of top apps to measure blood pressure on the market. Attention! You should be careful. An application, the description of which tells that it can measure the blood pressure of a person without a special device, can be dangerous if a user believes all the data and ceases to consult a doctor for help or to use more reliable and certified devices.